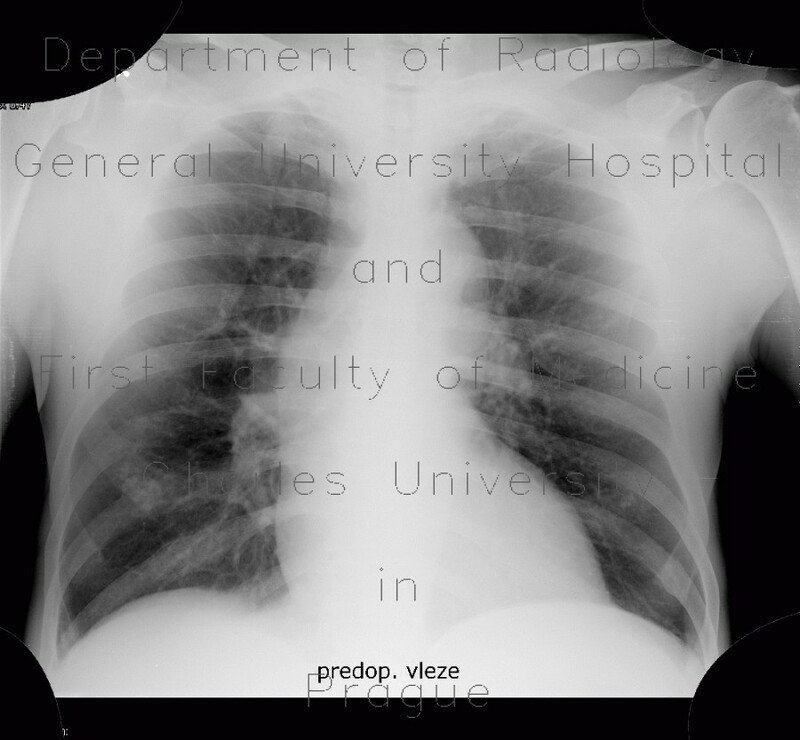 Supine chest radiograph shows enlarging of the heart silhouette and decreasing transparency of the right lower lung field. CT explains both: the pericardium contains large amount of dense fluid that represents blood (hemopericardium). There is an amount of pleural fluid in the right pleural cavity causing compression and collapse of the right lower lung lobe. Sternotomy wires and replaced aortic valve can be seen in their respective locations.